For those who are not familiar with FLAC (Free Lossless Audio Codec), this is a codec for lossless compression of digital audio. Explained in simple terms – that’s a CD-quality music sound. The FLAC files come handy when you want to make a digital copy of your CD collection – you can make a digital copy of your CD for your car, for example, with exactly the same quality as the original one. There are few disadvantages though – FLACs are larger than the mp3s (typically a full album is around 300-500mb) and audio players that support FLAC are hard to find. 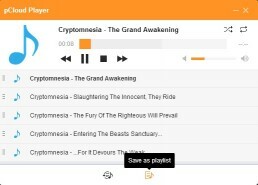 All in all pCloud solves these problems – you can simply play your music on our in-built Android and Web Audio players. 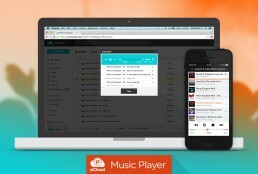 Keep your music safe with pCloud and play it wherever you like.